1. Corrugated material to keep weight light. 2. Removable header, make your own design on it. 3. Customized size, tiers, graphics are available. 4. Sturdy construction to support a heavy load amount. These cardbaord displays are consisted of removable header, shelves etc, is the perfect solution for users to showcasing gifts, toys, CDs, books to grab more attention from customers and impulse the sales in any retail environments. 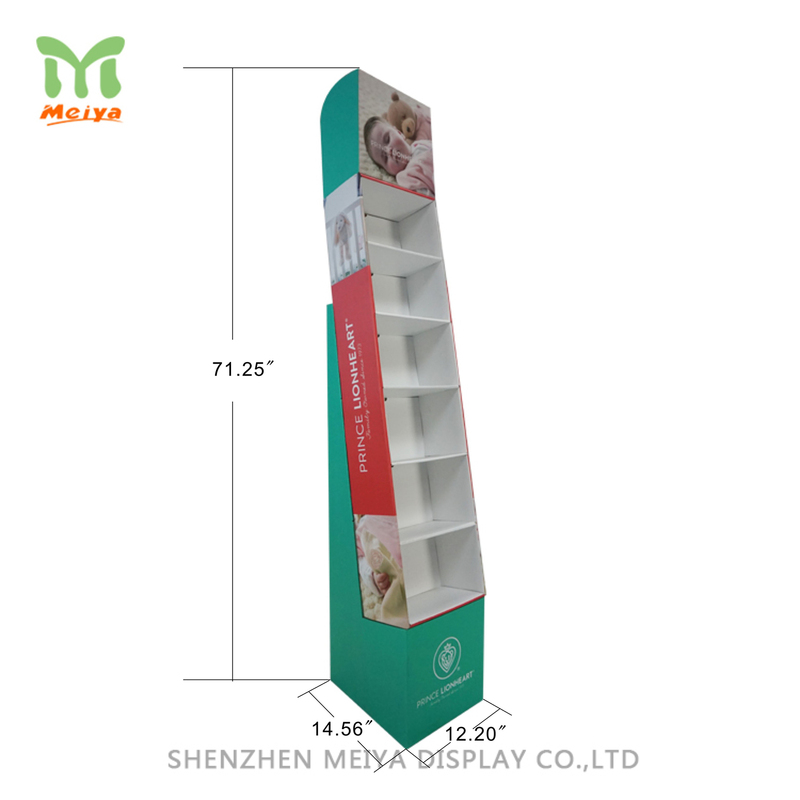 Get more examples of cardboard displays from Meiya Displays, contact with our sales. One-stop service is included design, manufacturing, delivering, after-sales service.